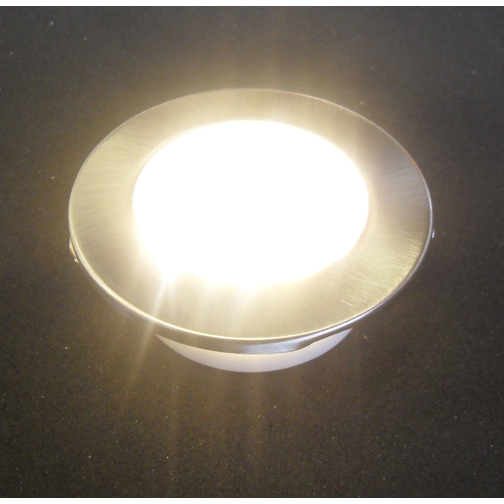 A recessed 12v LED light finished in brushed nickel. The warm white colour of the light output from this LED light is very similar in colour to a 'standard' bulb. 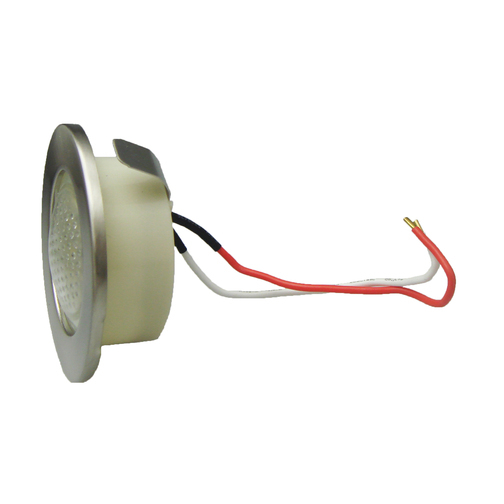 The recessed 12v LED light is housed in a plastic case with a brushed nickel bezel. The unit features 21 LEDs that offer a good warm white light output with a minimum draw of power from your boats battery. 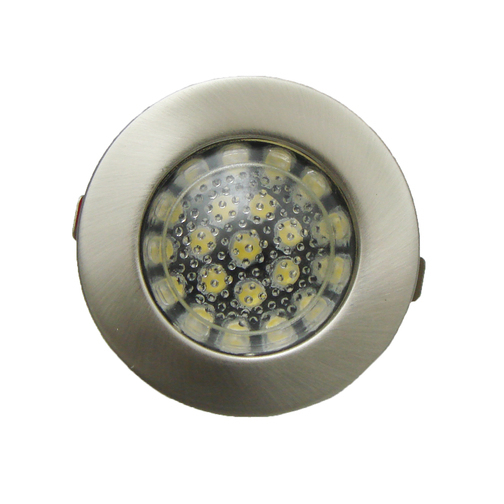 The LED lights mounting screws are completely hidden by the removable brushed nickel bezel. 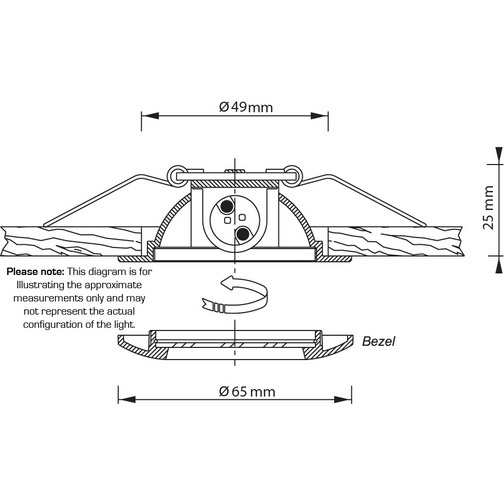 The light comes complete with two pre-stripped wires for connection to your boat or caravans wiring.